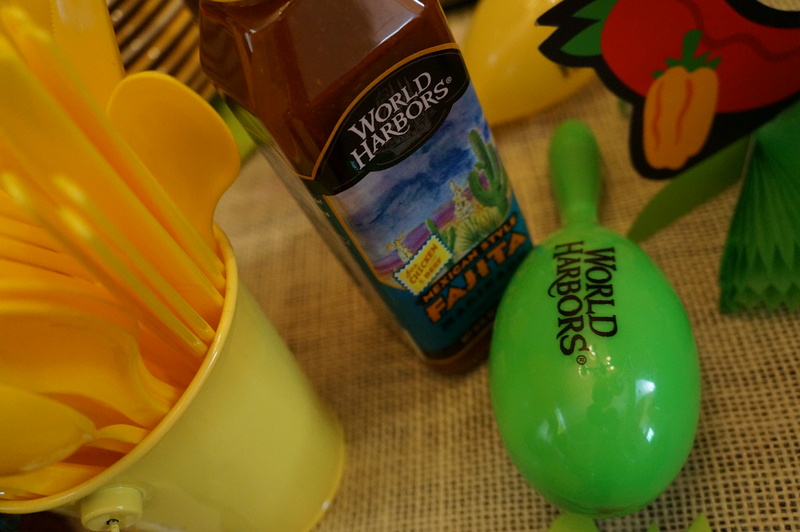 Last month, I was lucky enough to be chosen by House Party to host a World Harbors party. 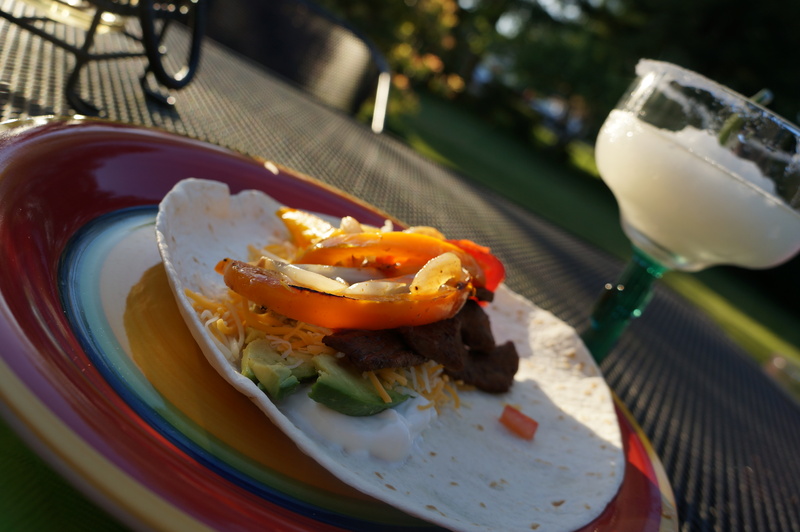 It was a perfectly sunny evening (the night before Cinco De Mayo) when I gathered a few friends and family at our house for our Fajita & Margarita Fiesta. 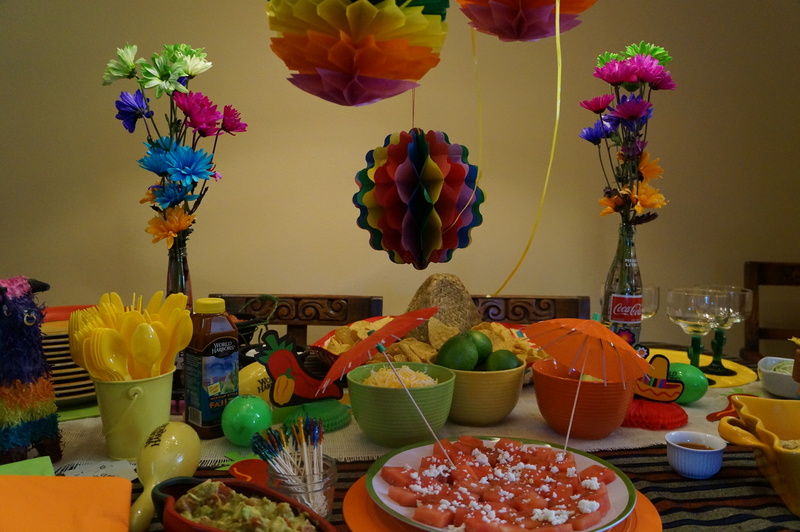 Though Cinco de Mayo only comes once a year, this party is also perfect for a summer celebration party. 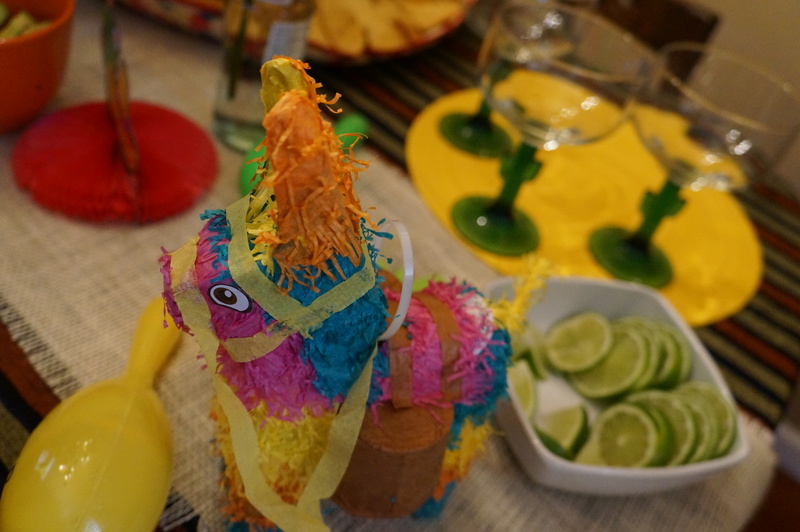 What better way is there to celebrate a warm summer night than going south of the border? 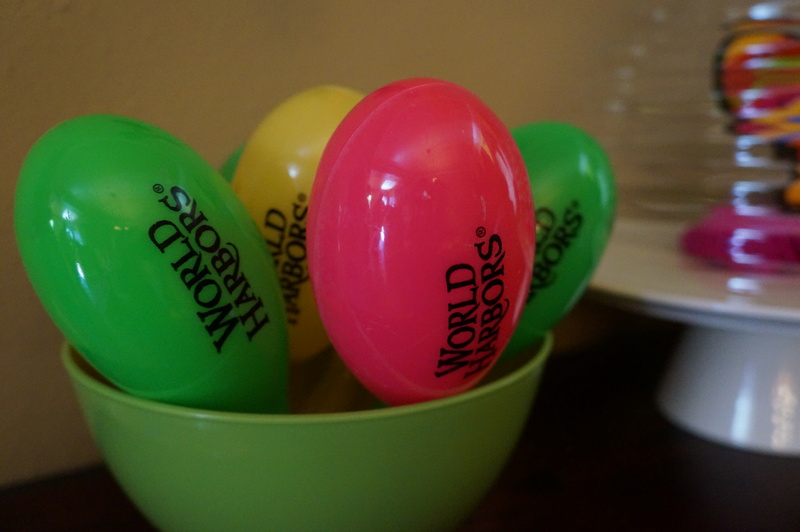 I went all out in decorating the table with colorful rainbow decor. With a focus on the bright hues of yellow, lime green, orange and hot pink. I started with a table cover that I had on hand, laid down a burlap runner in the middle and then just went to town layering in color. 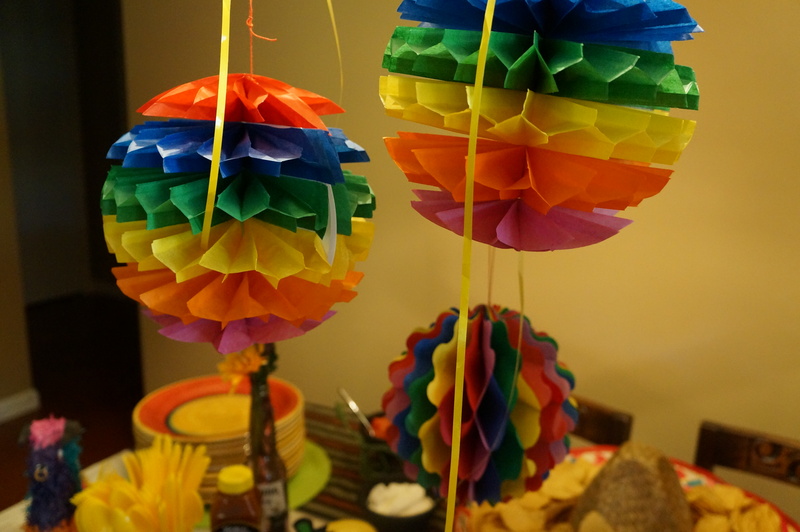 These great honeycomb hanging balls were a steal at the party store – on clearance for $1.04! I stocked up on them and used them everywhere. 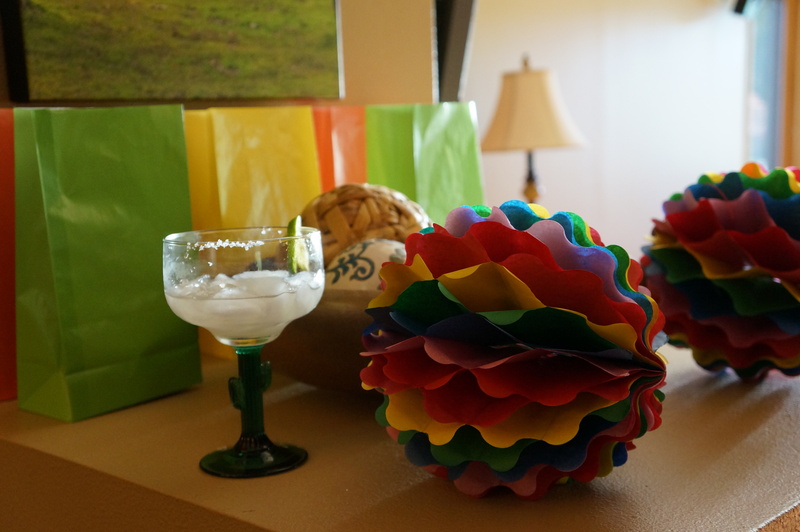 The goody bags were just plain paper sacks in the colors of my party – I filled them with the favors provided by House Party and each guest also went home with one of these margarita glasses I bought at the dollar store. 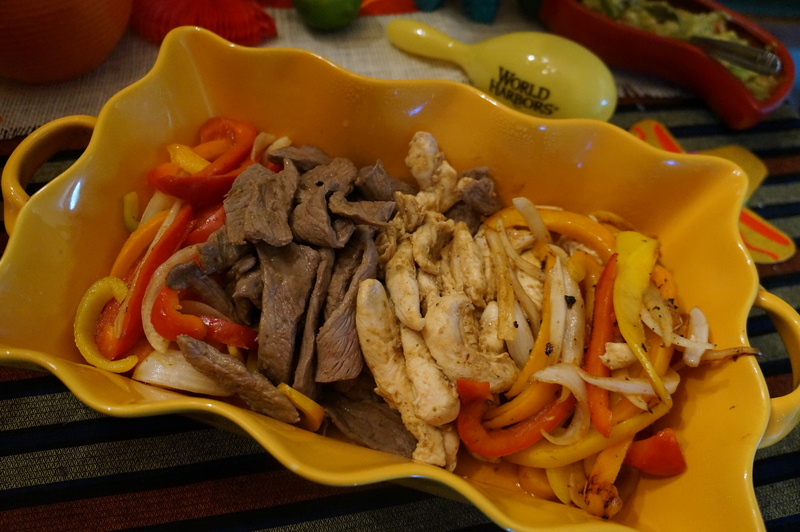 I got these plates (in my color palette) at the dollar store too – perfect! I’ve been looking at them for a while and wanting an excuse to buy them. As I was putting the finishing touches on, and frantically searching around (a half hour before party time!) 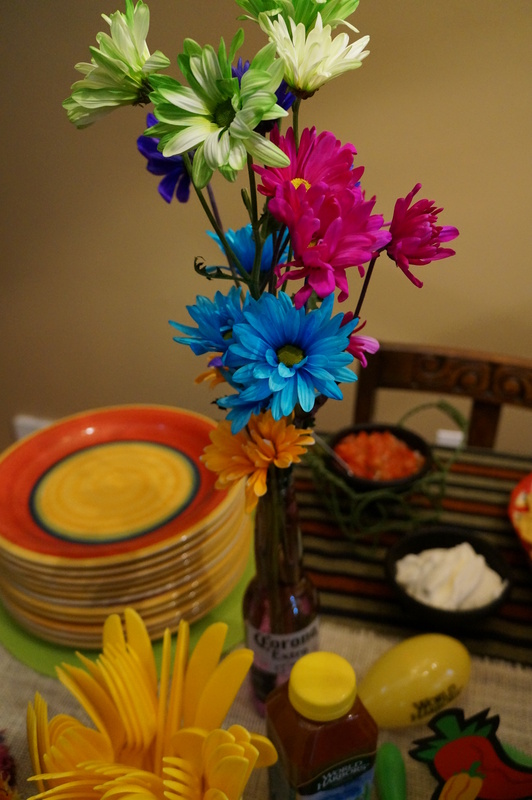 for a couple of vases to place these colorful daisies in, I spied a beer in my fridge. I love last minute creativeness! I decided that I would empty it out and use that as a vase. A nice cold beer before the party started turned out to be a much needed nerve calmer – I highly recommend having one drink before your guests arrive! 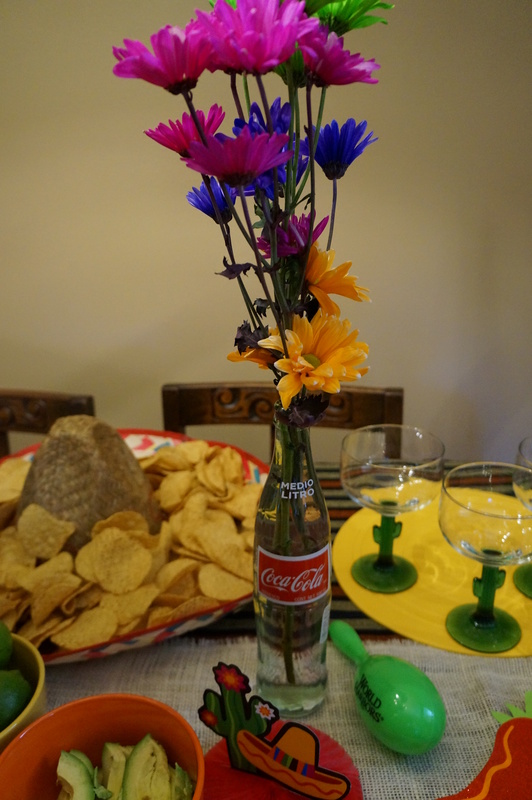 And because I didn’t want to get too tipsy, but wanted two floral centerpieces, I used a Mexi Coke bottle (in addition to margaritas we served Mexican beer and an assortment of bottled Mexican sodas for those who didn’t choose to imbibe) for the other arrangement – empty and rinsed of course. I like the miss-matched look of the two different bottles on the table. We started with a few appetizers – a fresh watermelon salad (recipe to come!) 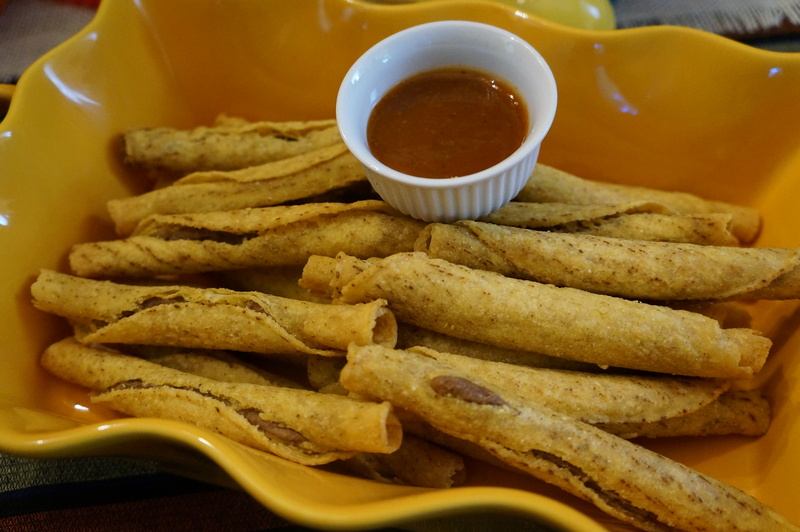 and some taquitos with the World Harbors sauce on the side – great for dipping as well as a marinade. 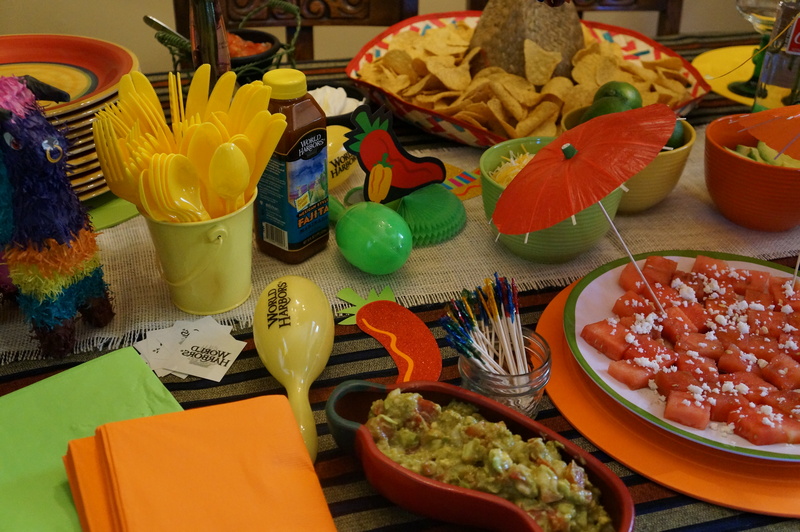 I placed chips in the rim of a sombrero, and served with chili con queso, salsa and my homemade guacamole for dipping. 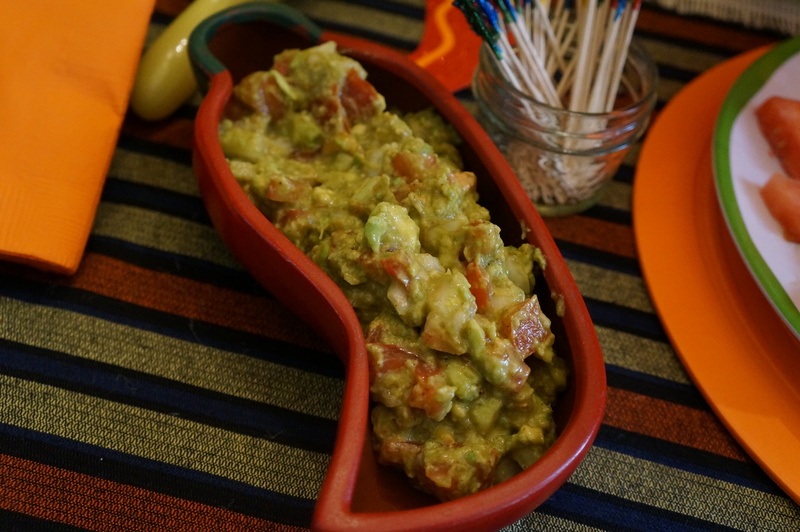 You can find the recipe for my easy guacamole here. 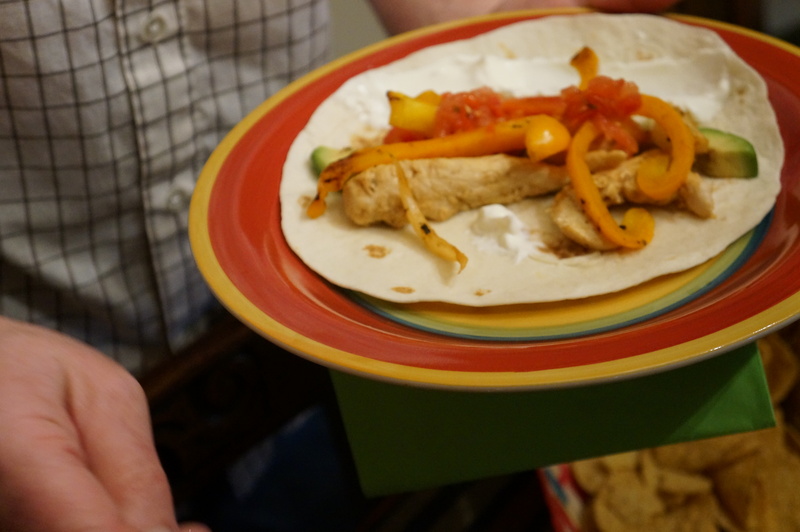 Soon enough, everyone was invited to build their own fajita. It was fun to see the thought that some people really put into their creation. Dining outside is a must for this party! What a night! One of my favorite parties ever! So much good food, great company and wonderful weather. 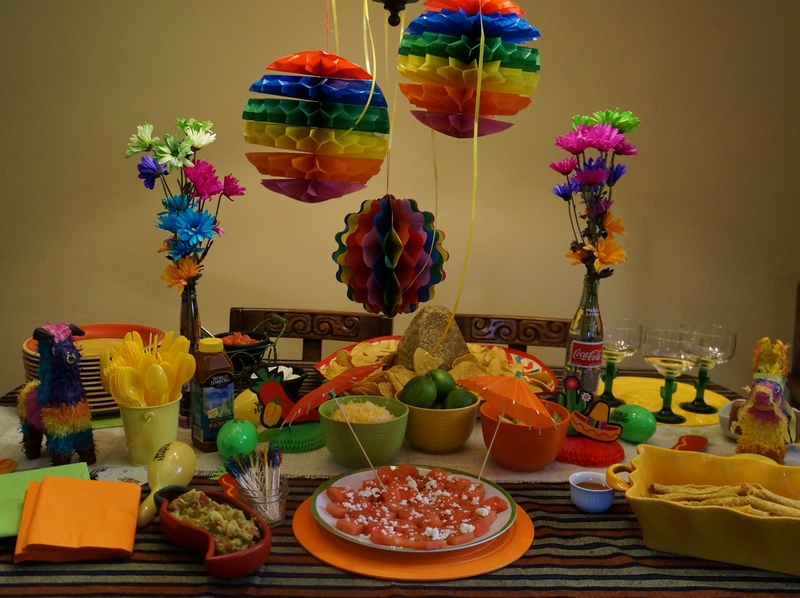 How do you like to celebrate the beauty of summer with your friends and family?